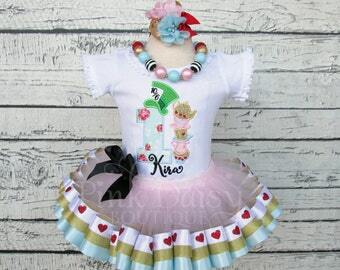 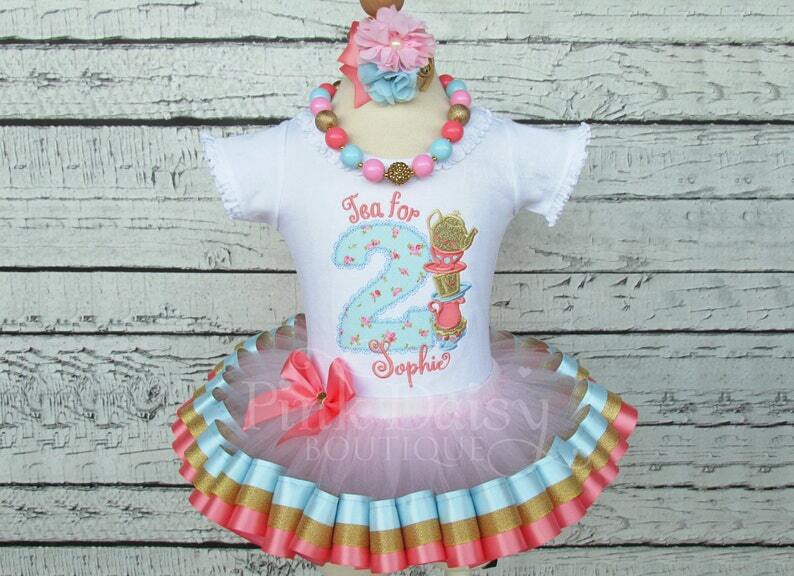 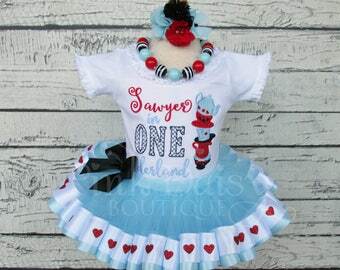 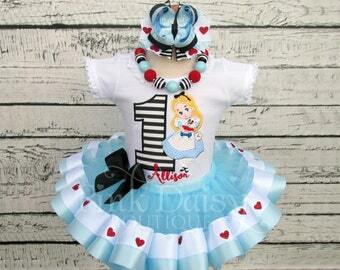 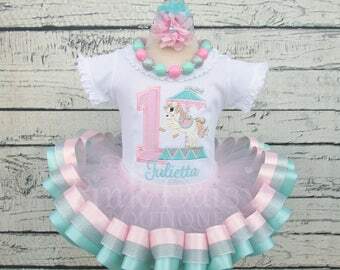 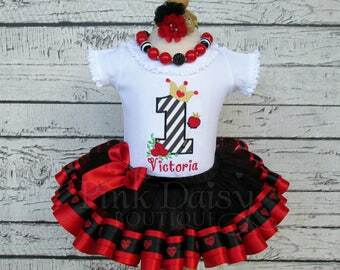 This listing is for a beautiful Alice in ONEderland themed birthday set consisting of a personalized embroidered shirt and tiered ribbon trimmed tutu. 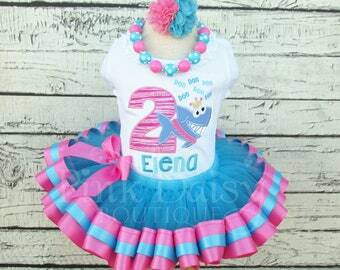 You have the option to add the matching headband and chunky beaded necklace. 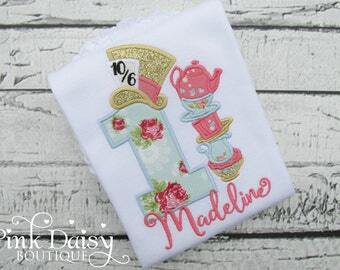 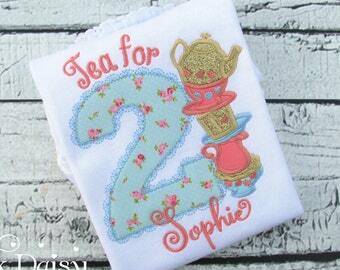 SHIRT: The shirt features the birthday girl's name and age topped along with a top hat and stacked teacups and teapots. 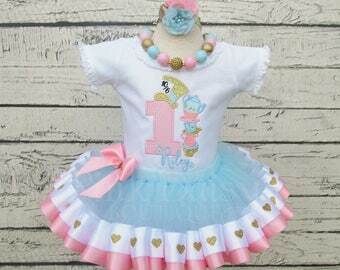 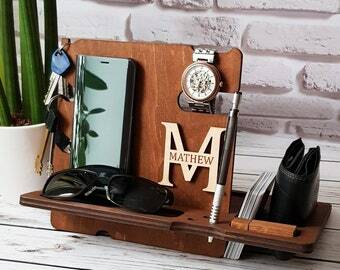 ***Please Be Sure to Leave the Name and Age Needed in the 'Notes to Seller' Section at Checkout. 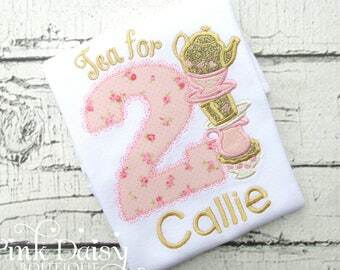 *** All embroidered items are finished with a soft backing to protect sensitive skin from scratchy stitches. 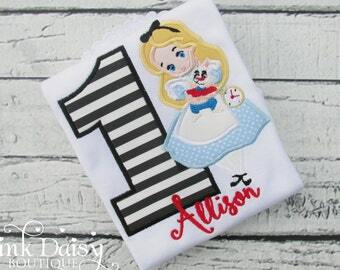 Wash inside out on gentle cycle and hang to dry. 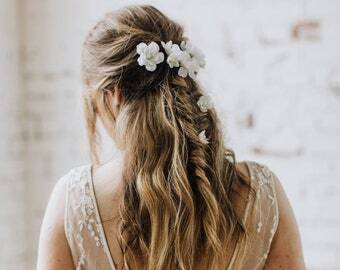 Do not use bleach. 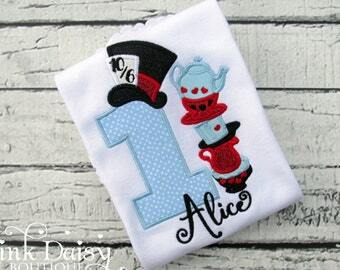 Iron inside out on low heat without steam. 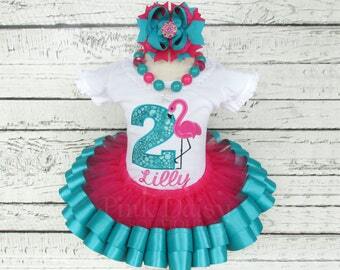 Girls Flamingo Pool Party Ribbon Tutu Set in Shocking Pink (Fuchsia) and Teal Blue with Stacked Boutique Bow and Chunky Necklace.